Integrated webcam in laptop — a very useful thing. You don't need to think about how to organize a video chat with friends. You only need to install software like Skype, and it will work automatically. If the webcam present in the laptop but does not work, you can use the following algorithm of actions. Go to the BIOS of the motherboard of the laptop and check whether the webcam as a device. Set this parameter to Enable to run the webcamera. Save the changes and exit the BIOS section. If you can not save all changes on the personal computer, the system I / o will automatically ask you to save the operations you made. Install drivers for the integrated webcam. The driver is a special program that tells operating system how to work with installed computer devices. 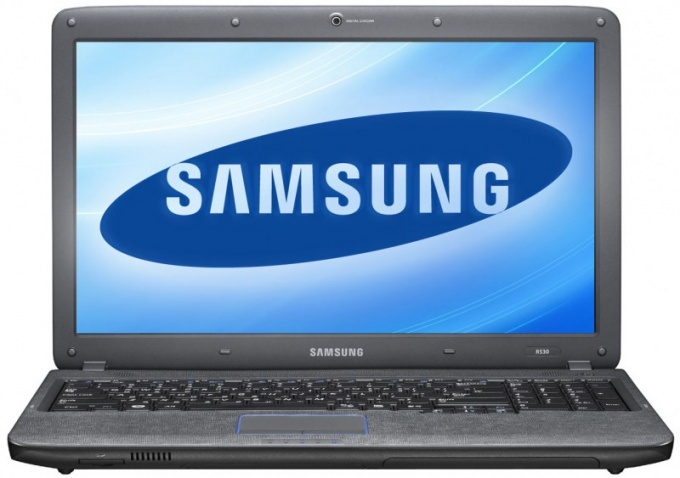 View the model of your Samsung laptop. If it is not listed on the device (usually right under the screen), then you can watch it also on the sticker on the bottom of the case. As a rule, all drivers are supplied with the webcam. Can also be viewed on the official website of the manufacturer. Go to Samsung and look under "Support". Click the "Download" and indicate on the website the model of your laptop. Download driver on the proposed list, after selecting the appropriate version of the operating system. Install the downloaded driver for my webcam. Check and see if a new imaging device in the "device Manager" or in "control Panel". Run Skype and check the image quality. Windows operating system has a wide range of generic drivers. However, not once it was noticed that when working with a webcam and automatically installed drivers there are some problems: for example, the low sensitivity of the microphone. Always install the drivers for the devices from the manufacturer, if you have the opportunity.